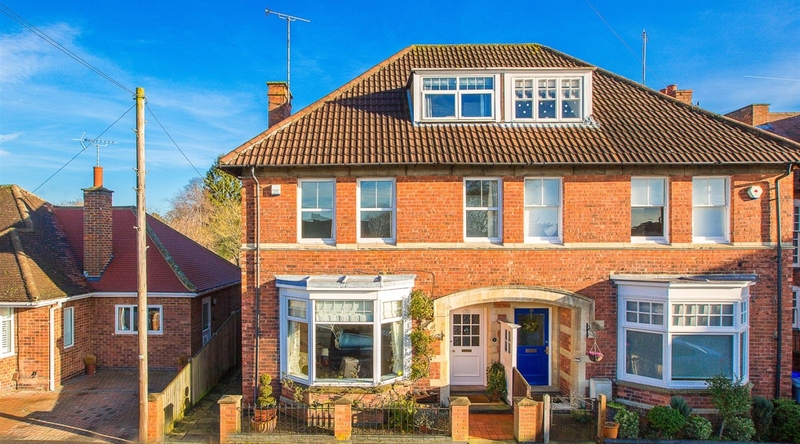 This stunning semi detached period property, situated in one of Kettering’s most premier roads, has accommodation spanning over three floors including, three separate reception rooms, five bedrooms, modern kitchen, courtyard style garden and single garage. 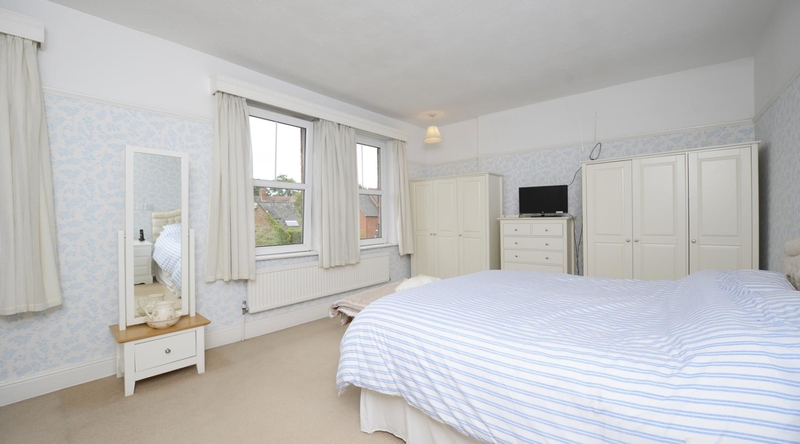 The property is located conveniently close to Kettering Train Station and town centre. 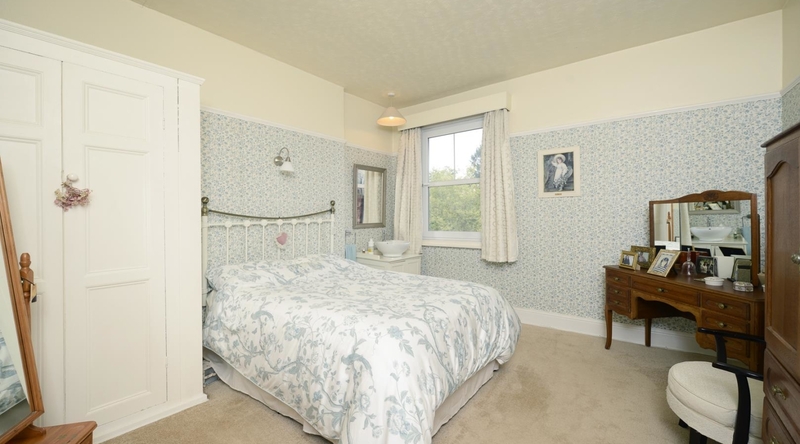 The entrance hallway, which has original tiled flooring, has access to the lounge, breakfast room, dining room and stairs rising to the first floor landing. 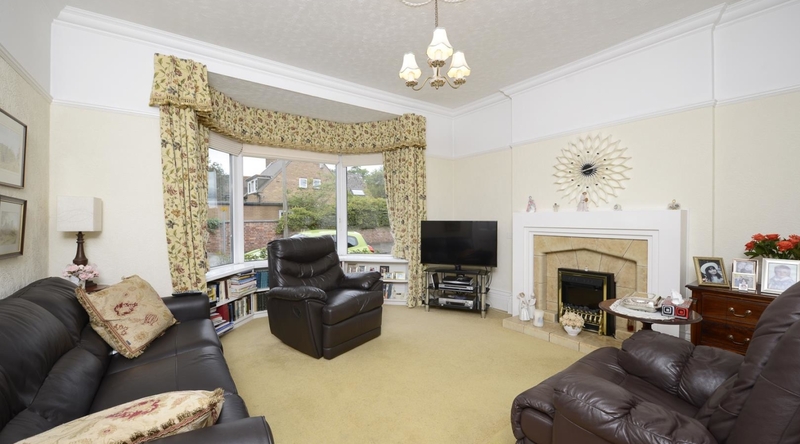 The lounge is a sizeable room with a bay window to the front and a feature electric fireplace. 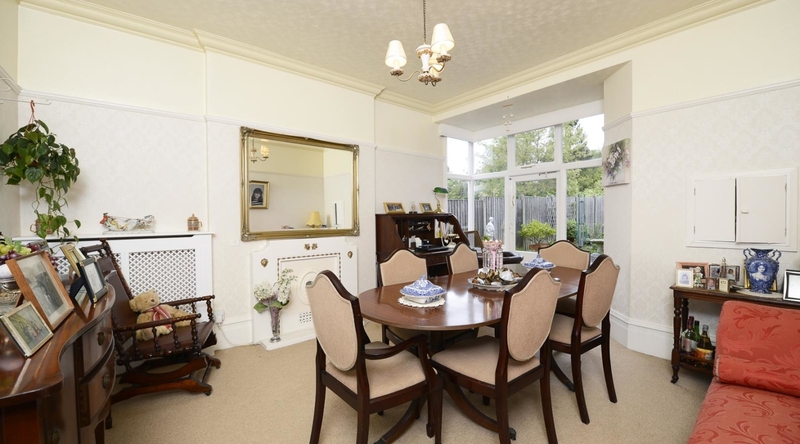 The dining room has a fireplace and door opening to the garden. Both these rooms have traditional ceiling roses and coving. 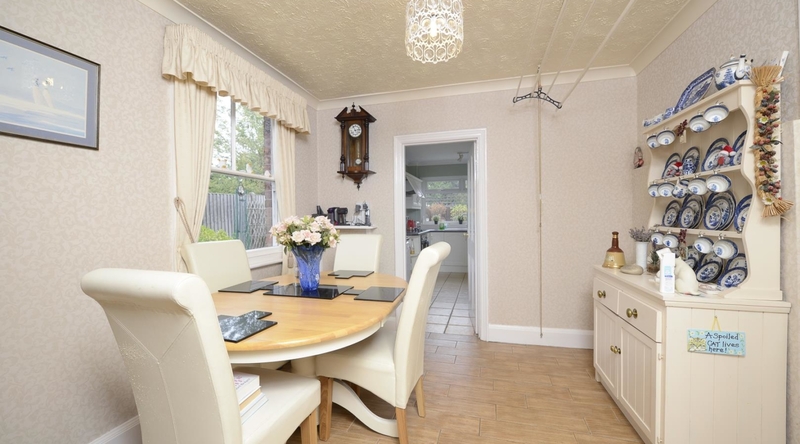 The breakfast room provides ample space for a dining table and has built in storage space. The kitchen is fitted with a range of cream shaker style eye and base level units with tiled splash backs and roll top work surfaces. 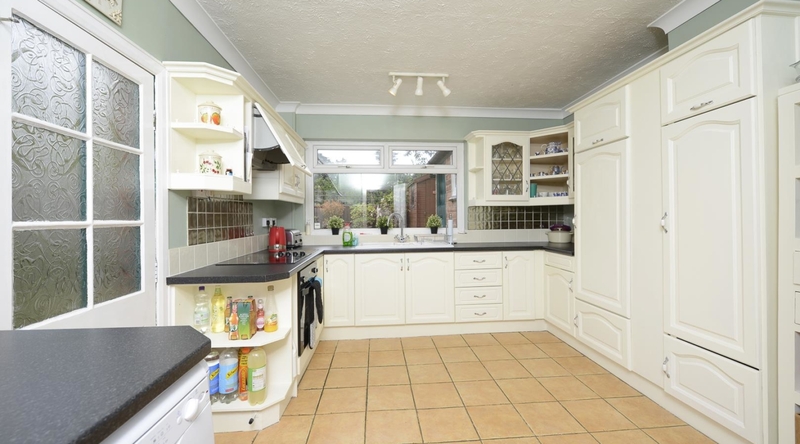 Integrated appliances include an electric oven and hob with extractor hood over and fridge. 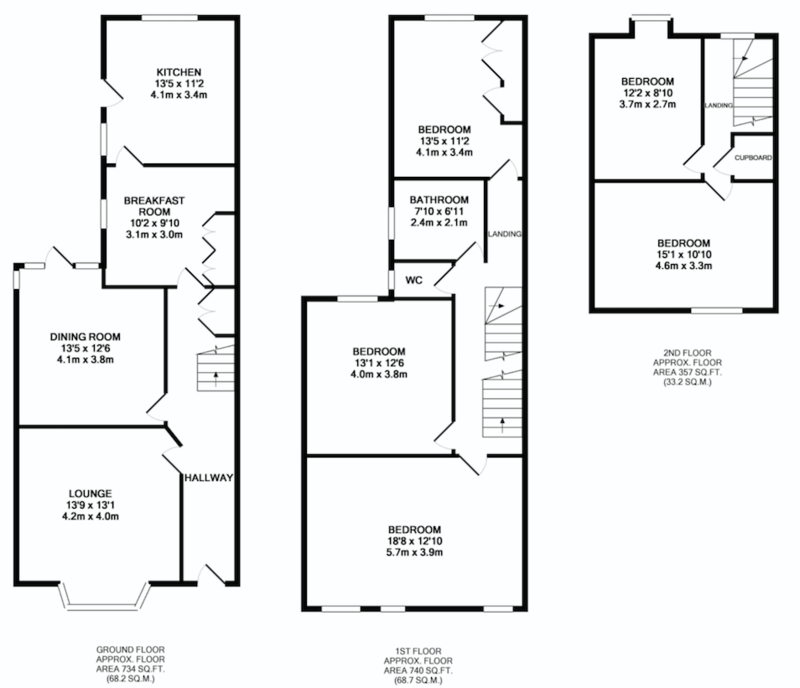 There is space for a washing machine, dishwasher and further fridge freezer. A side door leads to the garden. 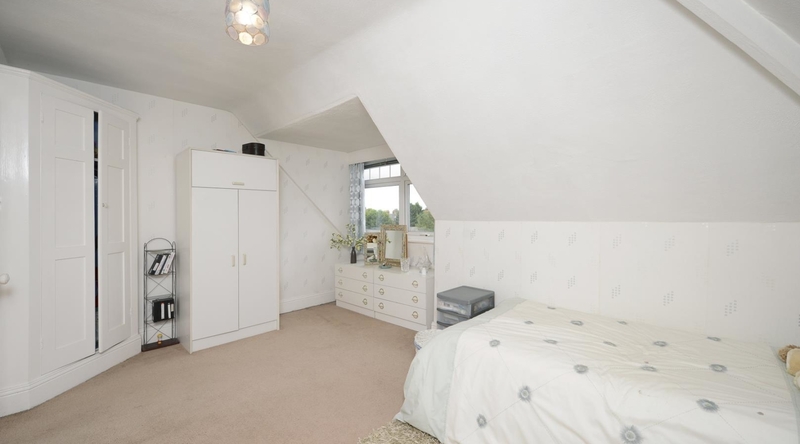 The first floor landing has access to three double bedrooms, the family bathroom and separate WC. 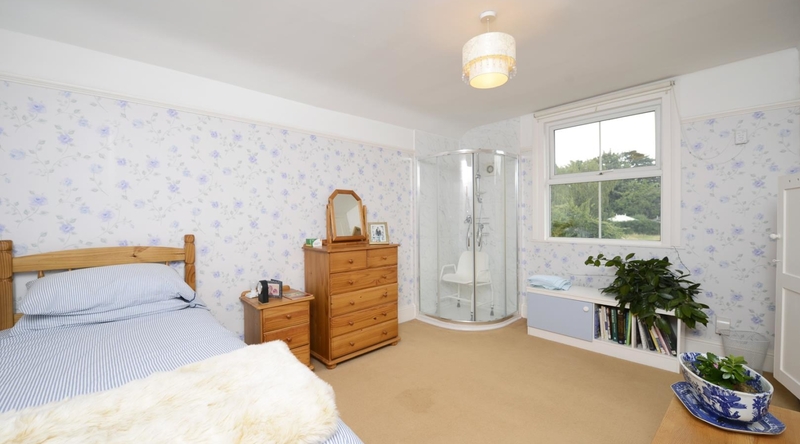 The second bedroom has a wash hand basin and the third bedroom has a walk in shower cubicle. 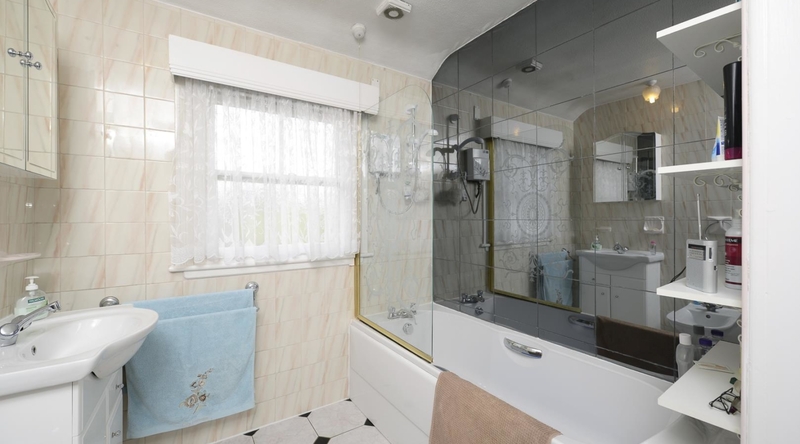 The bathroom is fully tiled and fitted with a vanity wash hand basin, bidet and bath with electric shower over. Stairs rising to the second floor have access to two further bedrooms, one single and one double. The property has traditional high ceilings and original features, including servants bells, throughout. The courtyard style garden is paved with gravelled areas. There are numerous shrubs and plants, with a timber shed to the rear. 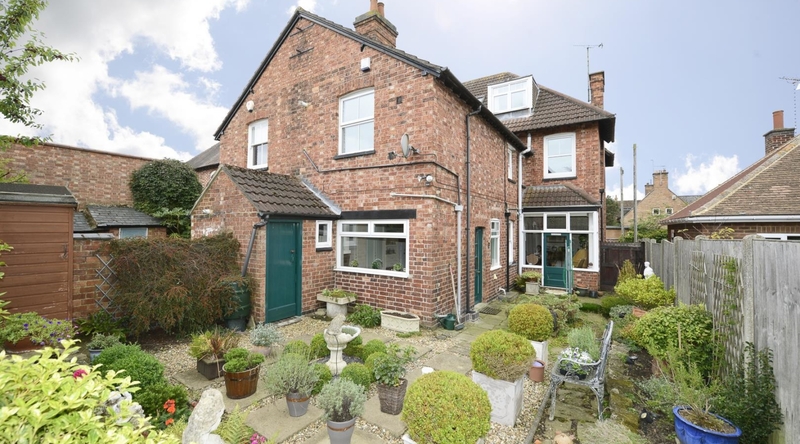 You will also find a brick outbuilding providing further storage space. 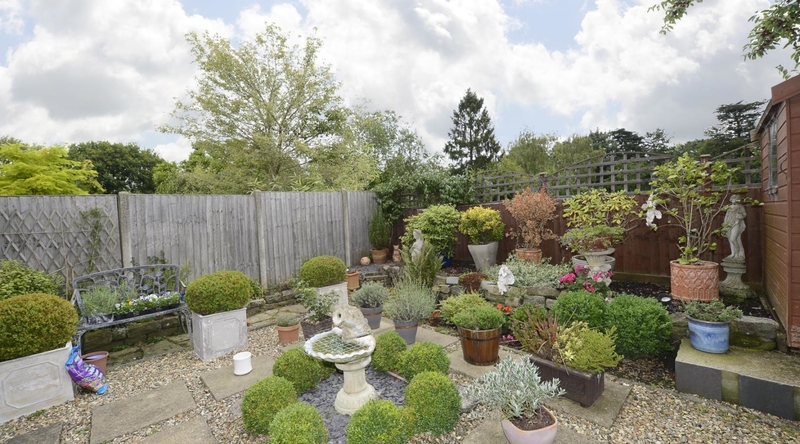 The garden is enclosed by timber fencing with gated side access to the front of the property. There is also a single garage.